Raised on a small farm in Idaho, Dr. Craig Vance grew up surrounded by pets and livestock. 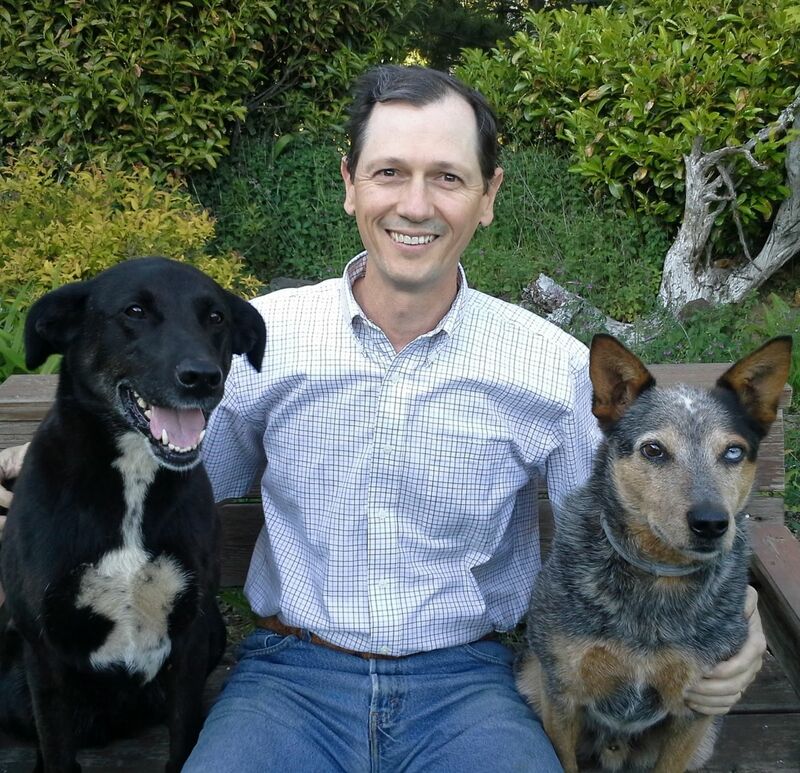 He earned a degree in Animal Science from University of Idaho and went on to study at Washington State University, where he graduated with a Doctorate in Veterinary Medicine in 1985. His areas of professional interest include canine reproduction and internal medicine. He worked at practices in Oregon and Idaho before joining the Alpine team in 1993, when he and his wife Julie decided that White Salmon would be a great place to raise their two sons, Tyler and Justin. Craig and Julie still live on a small farm surrounded by a menagerie of dogs, cats, horses and poultry. In their spare time they enjoy horseback riding, gardening and bluegrass music. Dr. Anthony is originally from western Pennsylvania and attended both college and veterinary school at the University of Pennsylvania, located in Philadelphia. She graduated in 1995 and then completed a one year small animal internship at Texas A&M. A love of the outdoors brought her to the West Coast, where she met her husband Paul (a mechanical engineer) in Portland, Oregon. After spending 15 years in California, they returned to build a home in White Salmon in 2016. Professionally, Dr. Anthony has a special interest in chronic conditions such as allergies and kidney and heart disease. Outside work, she likes to experience new places and cultures and has been to Europe, Nepal, Thailand and South America. Closer to home she enjoys skiing, ice climbing, motocross and is just learning to white water kayak. Karla Spratt started as a kennel assistant. Through hard work and study she has worked her way up to veterinary assistant. 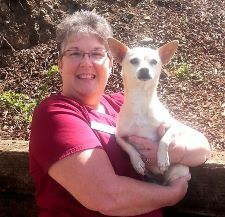 With Karla's advanced training in pet food and diets, she is responsible for keeping our various pet foods in stock. During the 22 plus years that Karla has been with us, we have watched her children, Carl and Vanessa, grow up to become young adults. Karla and her husband, David, have spent most of their lives in the Mid-Columbia Gorge, and share their house with two cats and two dogs. Heather Mesecher grew up in Oregon and went to college at Oregon State University. She lived and worked in North Dakota before moving to the Columbia River Gorge in 2014. Heather has two dogs, two horses and one cat. In her free time, she enjoys fishing, camping, horseback riding and most anything outdoors. Melissa Lumley was born and raised in Merced, California. She moved to White Salmon, Washington in 2011. She enjoys camping, fishing, baking homemade dog treats, spending time with family, friends and her three dogs and several cats. Joyce Schultz has been our smiling face at the reception desk for more than 27 years. After starting as a receptionist, Joyce has worked in almost every other position in the hospital at one time or another. Her experience provides our clients with reliable information for any questions they may have. Joyce and her husband, Ron, have two children, Rebecca and Jeremy, two granddaughters, Aimee and Kaelynn, and one grandson, Collen. Joyce loves spending time with her grandchildren and in her spare time she also enjoys camping, scrapbooking, church and cruising. Emily Scobee was born and raised in Hood River, Oregon on a small orchard in the Upper Valley. Emily has five very spoiled animals- two dogs and three cats. In her free time, you can find her spending time with family and friends and enjoying the beautiful Gorge. Keena Orr was born in Tacoma and raised in White Salmon, Washington. Keena is married and has two children, Kristin and Jazmyne. Keena grew up on a farm riding horses and taking care of cows and pigs. In her free time, she can often be found at a sporting event and spending time with her family and fur babies. 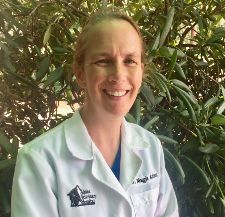 Rebecca is thrilled to be part of the team at Alpine Veterinary Hospital. She began working with us in October, 2016. She grew up in Michigan in a home filled with rescue dogs, cats and other critters. 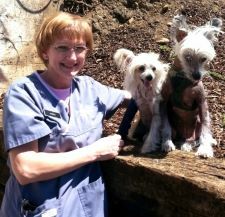 She has volunteered for multiple animal rescue organizations and has fostered dozens of rescue dogs. She graduated with honors from Humboldt State University in 2006. 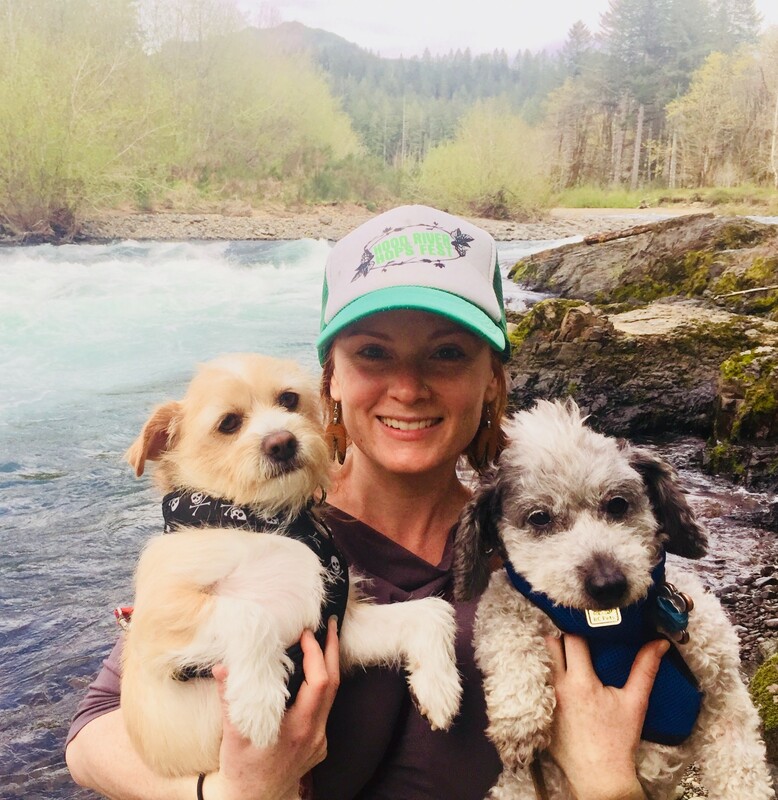 Rebecca and her wonderful husband live in White Salmon with their two rescue pooches, Cinder and Beavis. Becca enjoys spending time with family, friends and animals, as well as hiking, camping and exploring waterfalls, hot springs and other beautiful places.